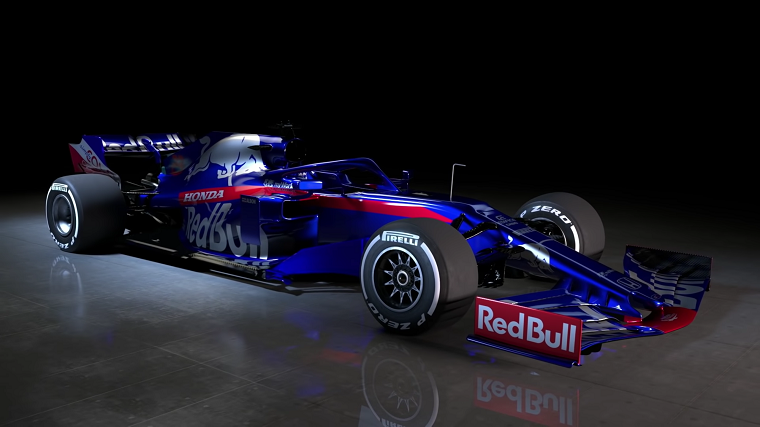 Toro Rosso has revealed images of its 2019 Formula One car online, becoming the first of the teams to show the impact of the new aerodynamic regulations. So far only Haas and Williams have also made reveals, but only of their new liveries on the 2018-spec car. It probably made sense for Toro Rosso to show more than just the new livery, because very little is new in that area. Already one of the best looking cars on the grid since 2017, the 2019 looks virtually identical with regards to color scheme and patterns, with only a few new sponsorships to provide variety over older models. However, the bodywork itself is quite different. Though many of the details are hard to spot because of the black livery (probably intentionally obscuring), the bargeboard arrangement is dramatically different and the front wing elegant in its simplicity compared to that of the 2018 car. Pit Stop: What are the best tires for your car? The STR14 also shows the look of the higher, deeper, and wider rear wing, another one of the regulations aimed at improving overtaking. Finally, the rear end packaging is impressively tight, having been provided by Red Bull now that the parent team is working with Honda. “Compared to other teams, Toro Rosso count on a smaller number of people, but the synergies with Red Bull Technology for the non-listed parts, now that Red Bull will also be equipped with the Honda engine, will leave more time for our technical working groups to focus more on the details,” said Franz Tost, team principal. Tost added that while all of the components pertaining to the Honda engine will be the same specification as Red Bull’s, “most of the remaining parts” will have carried over from 2018 because Toro Rosso simply cannot keep up with Red Bull’s famously rapid parts development.